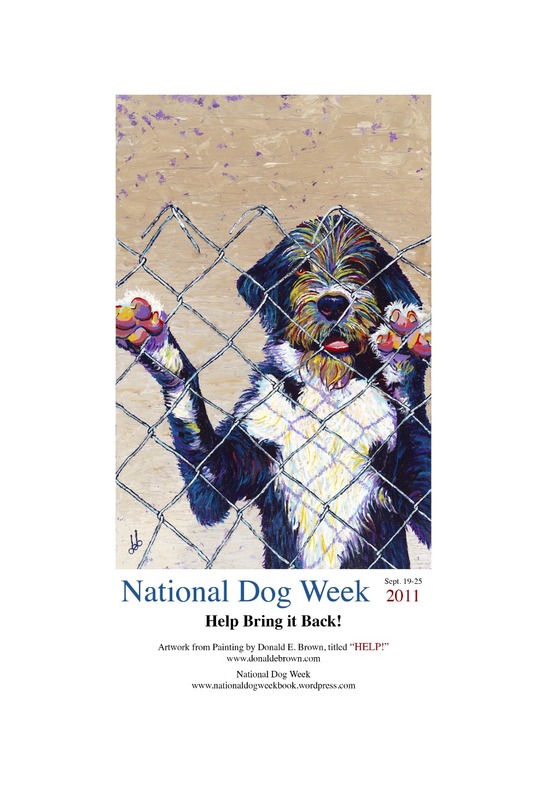 NDW 2011 Poster - "HELP"
We are so happy to announce that there is a winner in the Canines on Canvas Contest! As we confirm and work out the details, an announcement will soon be made. Please continue to support the National Dog Week Community Page with your LIKES and LINKS and postings. 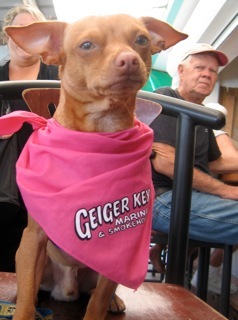 https://www.facebook.com/#!/pages/National-Dog-Week/218596591491974 We plan to feature special pet-centric give-aways, with new winners each month. If you are in the pet industry (especially if you “took advantage” of this page during National Dog Week) and would like to participate, please feel free to contact me. We are growing steadily and your participation will bring exposure to you and your services and products. During the recent observance of National Dog Week, our Pet Health Care Consultant Dr. Patrick Mahaney, wrote about how National Dog Week can be celebrated through Art, Literature and New Media. http://teddyhilton.com/tag/dr_patrick_mahaney. Please note that in this video, Patrick is showing (through his IPAD), a photo of the painting that inspired the NDW poster created by artist Donald E. Brown. Patrick now has a real poster thanks to Donald’s generosity! back in 1928 could never have imagined the “New Media” that exists today. It makes it all the more amazing that this minister, dog-enthusiast, soldier, lawyer and publisher of Dog World Magazine was able to accomplish so much with a manual typewriter and a pedestal phone. Pardon the pun, but where there is a “Will” there certainly is a way! Last July, I presented a post about the multi-talented Robert Cabral of Malibu, CA. Robert is a gifted photographer and the founder of Bound Angels in Los Angeles http://www.boundangels.org natural ability to work with those dogs that are in dire need of help allows these canines to become loving Companion Animals that can live up to the honor of being called Man’s Best Friend. With so many dogs put down because they get lost in the system, people like Robert make it their mission to make sure those dogs that need special attention don’t fall through the cracks of a burdened and failed “Shelter” system. the role our Hero dogs play in times of tragic events like 9/11 and the assistance they can provide to the forgotten heroes who have served our nation. Below, Robert and Orlando talk about the song and the video. Please listen and share. What I found to be truly inspiring is the fact that there are actually human heroes as well. I often visit hospitals, and I see how illness, and sorrow, never take over the children that I meet going through their own personal situations…. and I also visit shelters to meet some of the strongest and humble families In the world, that may not have much.. But they live everyday with the hearts of champions and press on day by day providing and taking care of one another…. What wonderful, and super, hero’s indeed … This song is just for them as well…!! shelter. I thought he would just be another celeb showing up and taking off, but I was wrong. Orlando really cares and is really involved. It’s different than most other celebs that are there for fame – he’s there because he really cares. A few days later his manager Reno Rankin and a good friend Kim Sill sent me the song Hero and asked if I would write a treatment for the video. I was floored. I loved the song and the video fell into place shortly thereafter. Did you know what kind of video you wanted to make when you heard the song? YES, as soon as I heard the song I knew. The pictures started popping into my head as the song played. I pretty much had the video finished before I ever shot the first scene. Who else should receive credit for the collaboration? 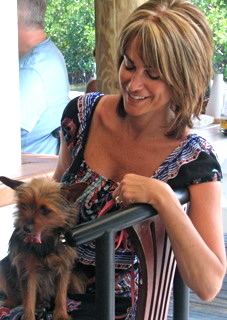 Kim Sill produced the video as well as Reno. Kim’s involvement and artistic creative input was a driving force to the video. It was a team effort. The other day I asked Robert if he knew of a songwriter who would like to use their talents to help promote the spirit of National Dog Week next year. By day’s end, he came through again, and a talented songstress contacted me asking how she could help! I look forward to seeing all the creative endeavors in play as we join together to promote awareness of this special week and its potential. Thanks to Robert and Orlando for sharing their story. I hope my friends will help spread the music! Thanks Thomas…I always like the story behind the story…or in this case song and video. I am glad you enjoyed it, too. I think that all of our companion animals and humans, too, deserve a second chance (sometimes it even takes more) to get right in the world!